On October 20, 2014, the U.S. Court of Appeals for the Tenth Circuit unanimously affirmed the lower court’s ruling that the commercial liability insurance policies purchased by Headwaters Resources, Inc. contained unambiguous “pollution exclusion” provisions which excluded Headwaters’ demand that its insurers reimburse its litigation defense costs. The case is Headwaters Resources, Inc. v. Illinois Union Insurance Company and ACE American Insurance Company. The Court of Appeals affirmed the lower court’s holding that the pollution exclusion provisions were unambiguous and therefore the policies do not cover these claims; the district court found that the “the complaints in the . . . lawsuits alleged bodily injury and property damage arising out of the actual or threatened dispersal of pollutants from waste that was processed by Headwaters,” and “[t]aken broadly, the complaints allege pollution of the type that falls within the pollution exclusions in all the policies.” The Court of Appeals also noted that Headwaters was free to purchase special purpose coverage for pollution liability, but chose not to do so. 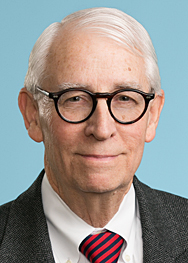 In the Court of Appeals decision, it notes that “[s]ince the 1970’s, the extent to which pollution exclusions apply to preclude coverage in commercial general liability (CGL) policies has been a ubiquitous feature of insurance litigation. Generally speaking, jurisdictions that have addressed the scope of the ‘total pollution exclusion’ fall into one of two camps: (1) courts that apply the pollution exclusions as written because they find them clear and unmistakable; and (2) courts that narrow the exclusions to ‘traditional environmental pollution,’ often because they find the terms of the exclusion to be ambiguous due to their broad applicability.” It also notes that the Utah Supreme Court has not yet weighed in on this debate.